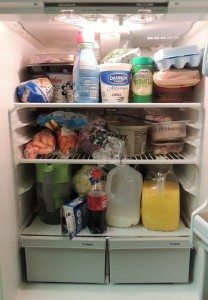 Our daughter’s refrigerator was filled to brim so I asked her if she’d mind if I organized it for her. I didn’t have to ask twice. ← Roof Leak at Bath Fan? No, Probably Not.